Jalan Jalan Imports is a unique Los Angeles boutique importer that also offer rental space for your upcoming special event, film shoot, or corporate meeting. 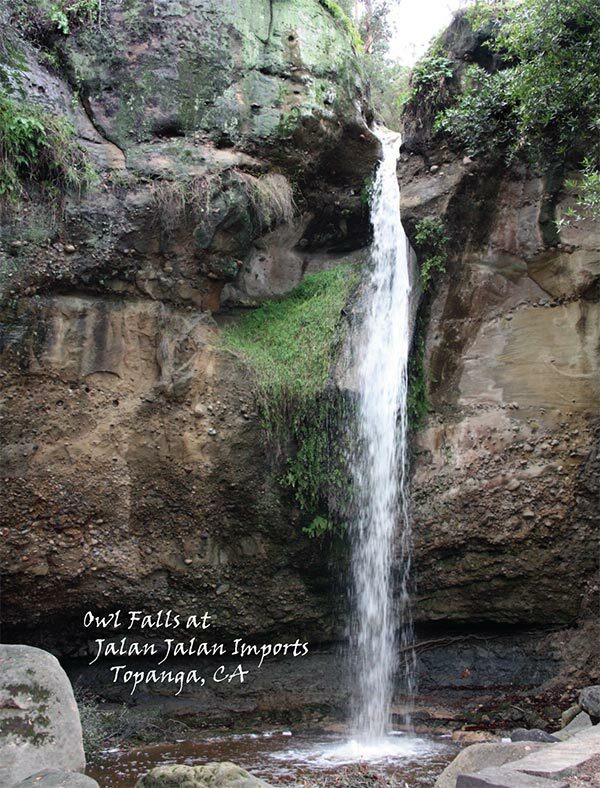 The property where Jalan Jalan is located is spectacular, complete with the historic Owl Falls, a 3-story spring fed waterfall that runs all year long. Those who visit the Falls often remark that they feel as though they have been transported to some exotic land that is filled with sights and sounds that awake the senses and make them feel at peace. The grounds at Jalan can be rented for photo shoots and filming. Please feel free to contact us to find out more about our location at 310-455-BALI (2254).